If a friend treats you to a steak dinner do you return the steak still if its chewy and grissly? For me the answer was YES. I dont care if the steak is free, I still want a good steak and will still complain, if I don't get one. You cannot critique what you do not have. You cannot critique public transport unless you use it. Giving it for free maximizes your use therefore you experience more failures and place them in context of more successes and form a more rounded, less likely incorrect, perspective. The most qualified wine tasters taste a lot of wine. The most qualified Anker testers test a lot of Anker products and other brands. 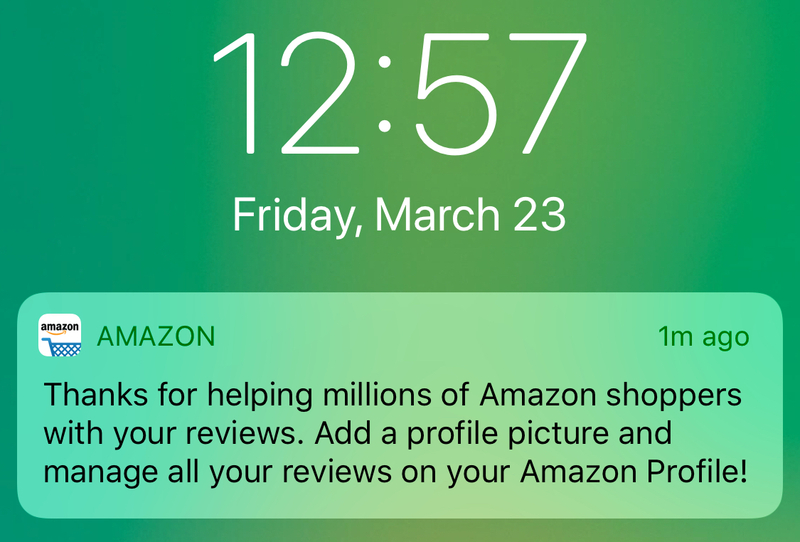 Amazon deleted my reviews years ago, but sent me this push notification today. They’re just mean! If you want to make a formal complaint and get amazing sorted, use this website.. .. .. CEOEMAIL.COM search for Amazon, and it'll bring up the email address of the CEO/director. It can be used for USA or Europe companies (and more). This happened to me as well toward the end of last year. I always wrote thoughtful reviews of items after I actually used them. I never wrote reviews for items that I used a promo code or additional discount on. I was something like reviewer #53 on Amazon.com, so I had dedicated a great deal of time over the years to sharing my experience with products. From what I understand, I will never be able to write another review on Amazon. I didn't violate any terms of service, so I'm baffled why Amazon would do this. I do know that competitors often report reviews as being a violation in hopes of getting reviews removed. I actually had one seller e-mail me telling me they had done this (ironically, the same seller had e-mailed me a few weeks before asking me to violate the Amazon TOS and write a review in exchange for a free product). I don't even read reviews anymore, because I see so many that are obviously not legitimate. Heck, sometimes they don't even describe the product being reviewed or just say a single nonsensical word...and of course 5 stars! I do know that competitors often report reviews as being a violation in hopes of getting reviews removed. Bingo....... The better the reviews (details) the more a chance of being flagged. Most of mine had videos as people love to see the product in real life operation and maybe they were too good or used too much bandwidth. I don't think I have come across a review with a video attached in the past year. Sorry to hear that, @donrull! I wish Amazon would actually review the violation reports to see if they are legitimate or not, but I guess it is just easier for them to delete the "offender" and move on to the next victim. Policy violations cited, but many customers don't know what they did wrong. I'm reading the criticism of Amazon, it does appear draconian and disproportionate. However, the premise of having reviews in Amazon I never really trusted anyway. When I read them they were too liberally sprinkled with poor quality in number to drown out the good quality reviews. I'd attach more weight to 5 good reviews than 500 bad ones. Bad knews dominate out of proportion as complaining is carthatic venting. In the internet era we now have many big businesses the size of smaller countries, so it's no wonder they act with the same dumbness as governments. The battle between Google and Amazon has yet to fully explored. 1 cos I'm a prick and don't know how to use or they just bought the wrong item. My Amazon account has had all of it's reviews removed... again. I started this account in December after my previous account had reviewing privileges revoked because of incentivized reviews (Amazon sellers contacting me for reviews). Since Amazon shut me down last year I have only reviewed items that I have purchased on Amazon or Items that I have obtained outside of Amazon entirely (from Anker and some other Power User type programs). I have not manipulated the 'verified purchase' badge and Amazon allows a certain number of non-verified purchase reviews each week. But alas, Amazon has decided that even though I have not broken any rules whatsoever that my reviews should be suppressed. It is a sad day, indeed. I'm an active Amazon user, and a Vine Voice here in Canada, and I'm here to tell the Vine haters that we are not immune to this problem either. The majority of the top 100 reviewers in Canada have had their reviews taken down, and their review privileges revoked, and I imagine their Vine status as well. I'm basing the last part off of the fact that my account was recently under review, which they mentioned on my Vine queue page, which leads me to believe Amazon.ca just did their own "purge", as Amazon.com did last year. Luckily, because I've always followed the rules, and removed all my "free product" type reviews myself when the rules changed and then stopped taking them, I kept all my reviews and my Vine status. Amazon knows very well that sellers have been offering PayPal refunds to reviewers, and are not taking it lying down. 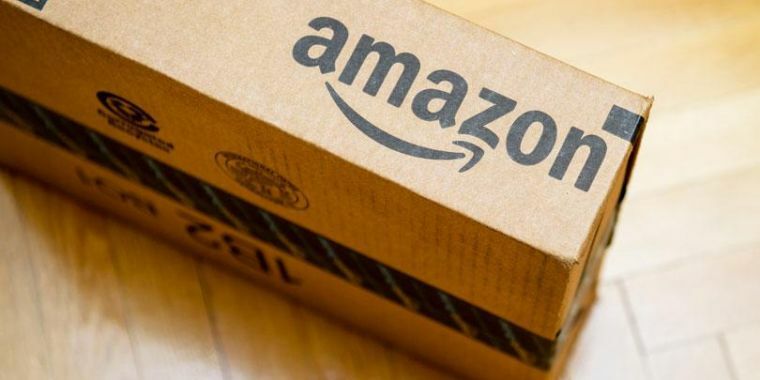 It's even worse than before with the compensation, since you could buy the product, review it, get your money back, then return it to Amazon for a full refund in addition. That is ACTUALLY compensated reviews, since you get the money and the product, or twice the money and no product. Since people can essentially be truly PAID to do it now, it only makes sense for Amazon to nip that in the bud, as it would mostly only negatively effect things, and is extremely unlikely to have a positive effect. To say that Vine Voices are immune is not true, as they are being purged along with other people suspected of breaking the rules. I agree with the criticism of many Vine reviews which are phoned in though. That being said, a lot of Vine stuff is difficult to do in depth reviews of. Things like soap and cleaning chemicals, there's only so much that there is to say about them. More technical and complicated devices and items deserve in depth, technical reviews, and I personally always try to give them, and I believe a lot of other Vine members do too (though obviously not all). It's even worse than before with the compensation, since you could buy the product, review it, get your money back, then return it to Amazon for a full refund in addition. Word of caution to anyone that would try this, Amazon only allows 50 lifetime returns through their A to Z return policy and although that may seem like a lot try ordering a few clothing items a year ......that will add up real quick. Returns are bound to happen when ordering something sight unseen. I am not necessarily a vine hater, more like jealous! Thinking back I always thought that I would have and should have got a warning email or at least a notice of changes to the policy as I was a Prime member. My only way of knowing was through rumors and never through factual statements. I appreciate that. I am now waiting for someone to get back with me via email, but it will likely be the same as it was last year, "our decision is final... too bad, blah blah blah." The frustrating thing is, I learned my lesson and found out the hard way that what I was doing was against the rules. Since then I have been straight-laced and well behaved, so what gives? I have verified my account and fortunately I have not had the same problem.